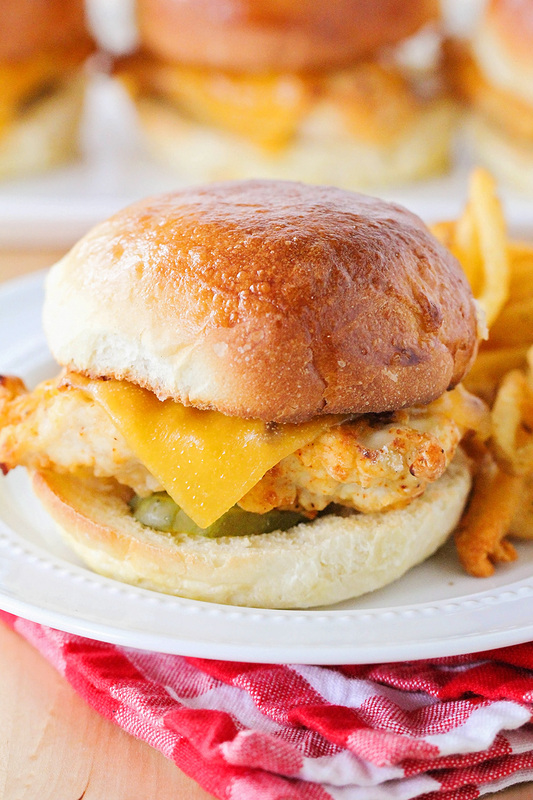 These homemade Chick Fil A sandwiches are so savory and delicious! They're baked, not fried, but just as tasty as the original! Who else loves Chick Fil A? 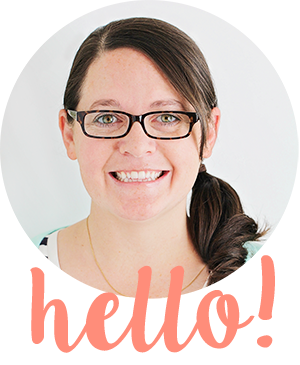 When we lived in Salt Lake, there was a Chick Fil A with a drive-through a few miles away from us, and it was one of my favorite places to go when I didn't feel like cooking. Now that we're in Portland, the closest Chick Fil A is about twenty minutes away. It's still pretty new, and insanely popular, and sometimes the line for the drive through is 30-45 minutes long! That means it can be more than an hour, round trip, just to get a chicken sandwich. Ain't nobody got time for that. The only solution in sight was to make my own at home! 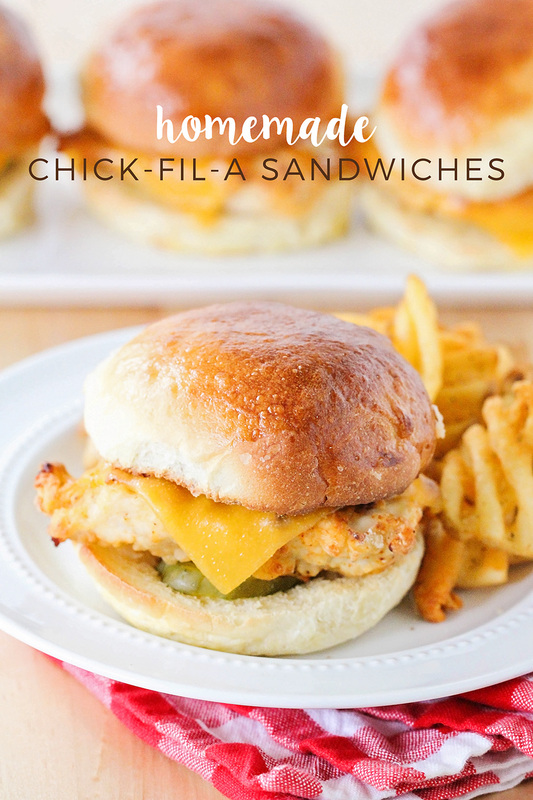 These homemade Chick Fil A sandwiches aren't necessarily going to save me any time, per se, but I don't have to change out of my pajama pants, or load the kids in the car, so they will definitely save me on frustration! Also, they're definitely a little more wallet-friendly than the drive through, and they're baked instead of fried, so they're a little healthier, too. I wouldn't say they taste EXACTLY like Chick Fil A, but they're a pretty great substitute. They have a few slightly weird ingredients (pickle juice and powdered sugar), but trust me, they turn out delicious! Add the prepared chicken breasts to a plastic bag and pour the pickle juice over the top. Marinate at least three hours, or up to overnight. After the chicken has marinated, preheat the oven to 450. Prepare a cooking sheet by lining with foil, and spray a wire rack with cooking spray. Place the wire rack on the cookie sheet. Whisk together the egg and milk in a shallow dish. In a separate shallow dish, whisk together the flour, paprika, salt, pepper, powdered sugar, baking soda, and ground mustard. Dip the chicken in the egg mixture, then dredge in the flour mixture. Spray both sides of the chicken with cooking spray and place on top of the wire rack. Bake 12 minutes, flip, then bake another 15 minutes, or until the chicken is 160 degrees. Slice the hamburger buns and butter both sides. Broil 2-3 minutes, or until the buns are crisp. Assemble the sandwiches by adding two pickles, a chicken breast piece, and a slice of cheese. 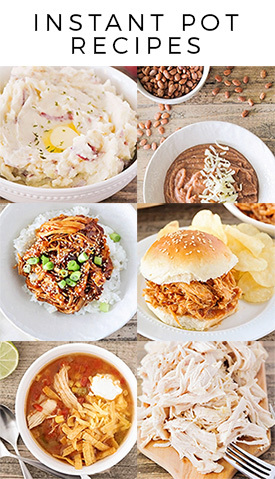 Serve hot with waffle fries on the side.